Inventive Chinese-American recipes, cocktails you prep in advance, books on creativity and design, and more. 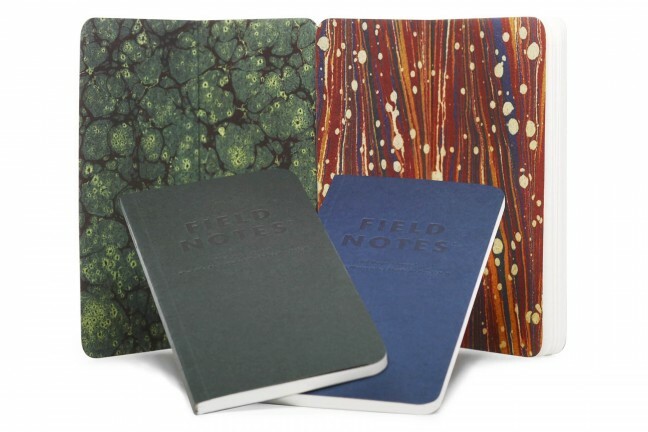 In the course of writing about all the awesome items we come across here on T&T, we often find out about great books months before their release. 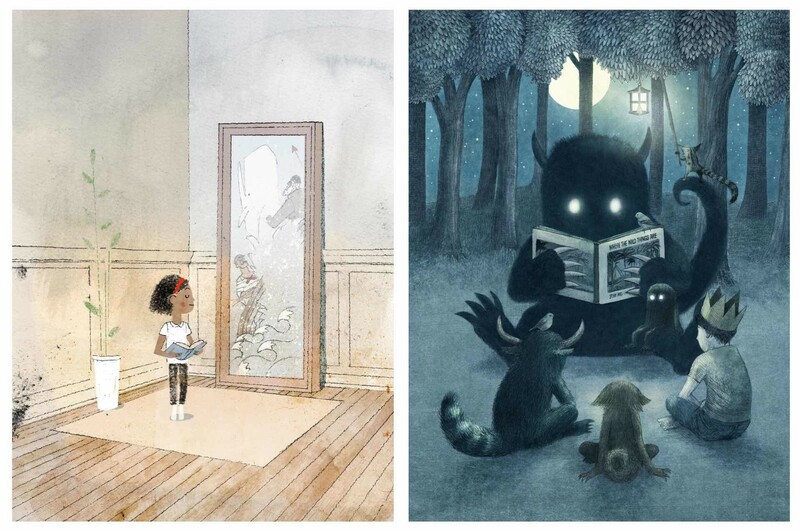 While we have more than enough entertainment options to keep us happy in the meantime, the anticipation for each upcoming book is always there, buzzing in the back of our minds. 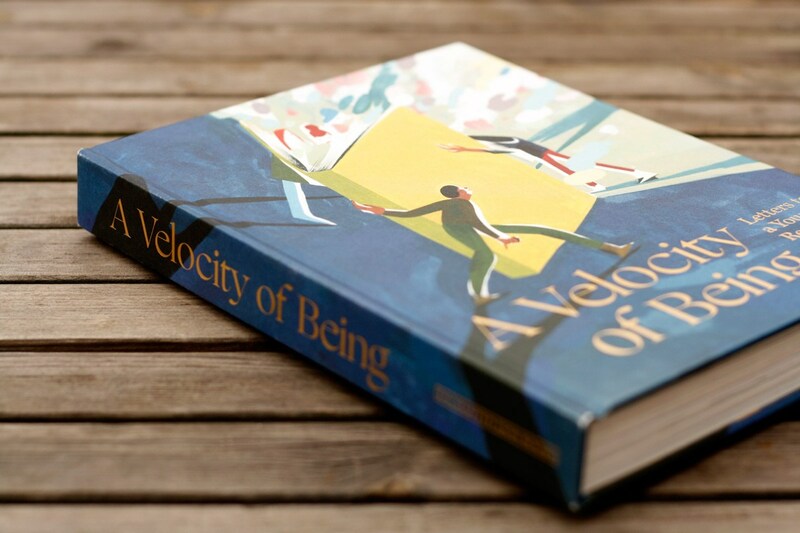 A Velocity of Being by Maria Popova and Claudia Bedrick. 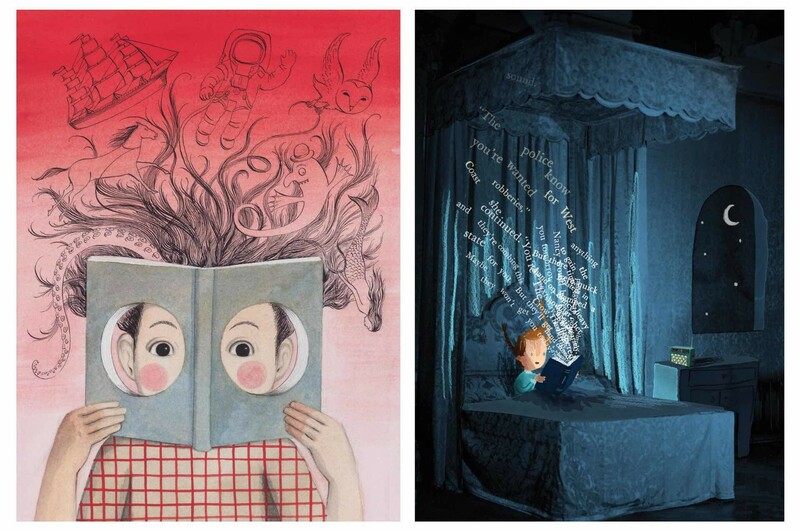 Released just a few months ago on New Year’s Eve 2018, A Velocity of Being: Letters to a Young Reader by Maria Popova (of Brain Pickings fame) and Claudia Bedrick (of indie publisher Enchanted Lion Books) is a lovely project with a wonderful message that was eight years in the making. The pair reached out to a number of interesting and inspiring people — from writers to artists to scientists to entrepreneurs to philosophers and beyond — inviting each to write a short letter to the young readers of today and tomorrow about the power of books and what they do for the human spirit. These luminaries include the likes of Jane Goodall, Neil Gaiman, Ursula K. Le Guin, Rebecca Solnit, Yo-Yo Ma, Judy Blume, Debbie Millman, David Byrne, and many more. 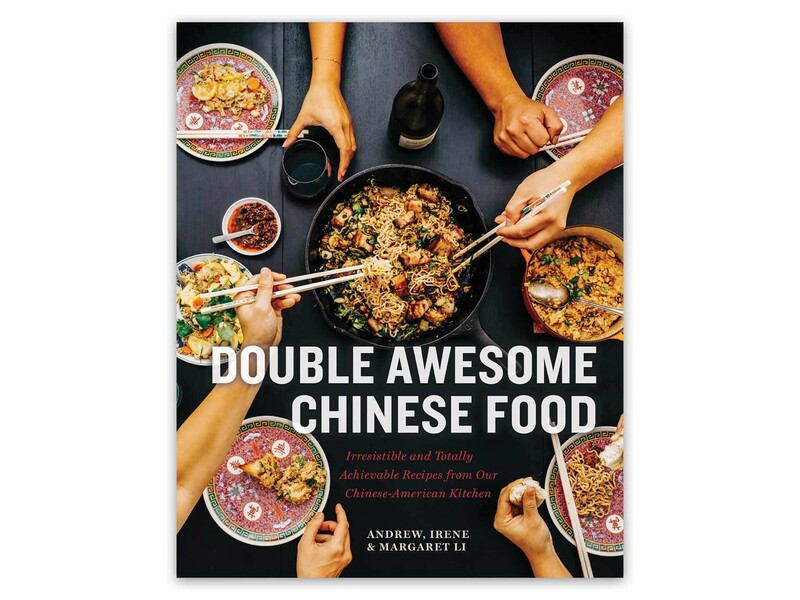 Double Awesome Chinese Food: Irresistible and Totally Achievable Recipes from Our Chinese-American Kitchen by Margaret, Irene, and Andrew Li. As quoted above, J. Kenji of Serious Eats fame — not to mention author of the stupendous The Food Lab — has already given it his seal of approval, which is all the evidence one should need before adding it to their cookbook collection. 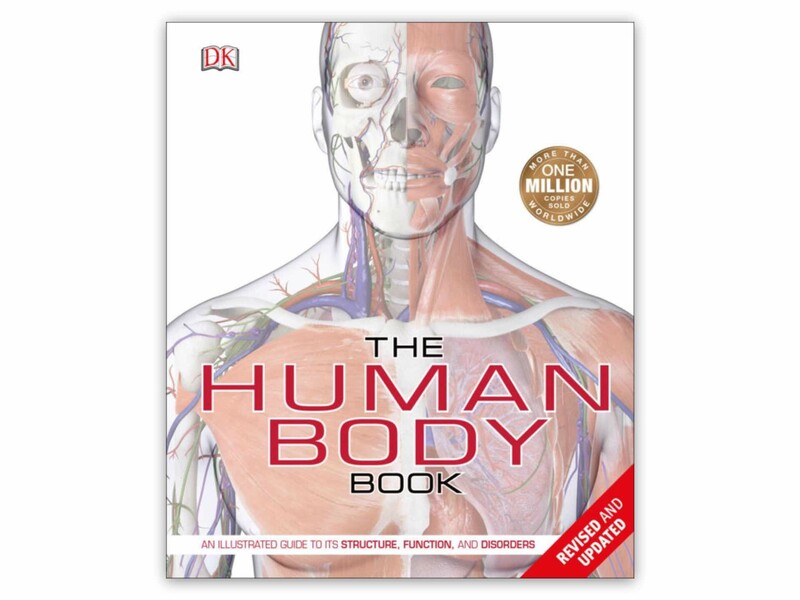 The Human Body Book, 3rd Edition by Richard Walker. The opening chapter, Integrated Body, explains how the parts of the body work together at various levels of size and hierarchy to produce the living whole. It also contains an overview of the major body systems, enlivened by real-life 3D medical scans of the entire body. The chapters that follow provide coverage of the body function by function, system by system. Eleven main body systems are covered in turn, with each section ending on common injuries, diseases, and disorders afflicting that system. The book concludes with a chapter on Growth and Development which looks in detail at how the body changes over the course of a human lifespan. My own son can attest to the awesomeness of this book. It’s got waaay more detail about…well, the human body than you thought you’d ever need to know. Excellent stuff. Colormorphia coloring book by Kerby Rosanes. 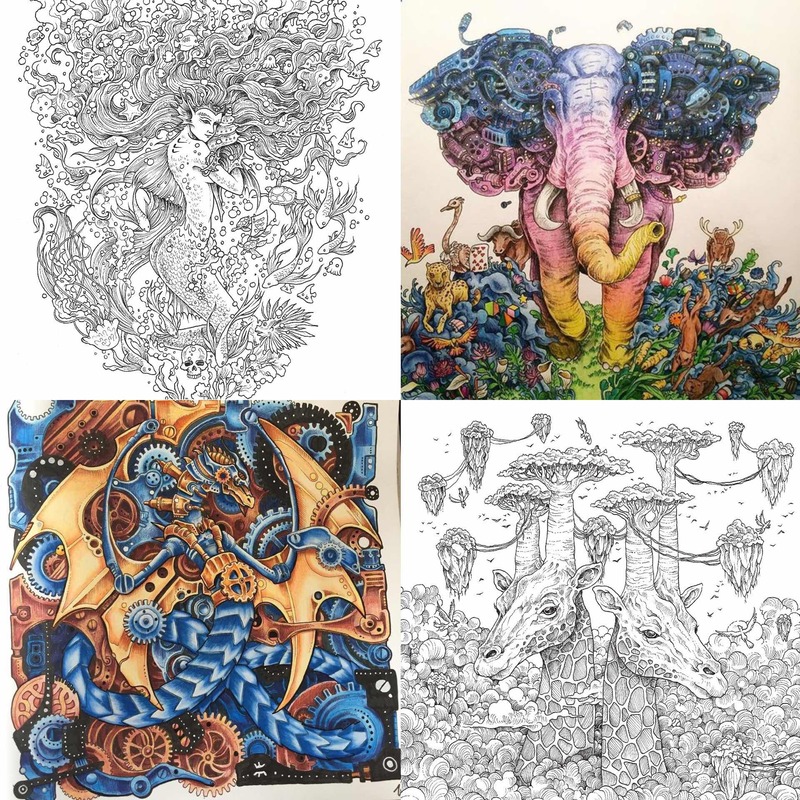 Kerby Rosanes is an illustrator from Manila known for his best-selling Morphia coloring book series, which feature dazzling illustrations of fantastical creatures, mythological figures, and stunning landscapes that practically explode with intricate details for you to color to your heart’s content. Some selections from the Morphia series, both finished and unfinished. Released a month ago, Rosanes latest in the series, Colormorphia, is a compilation of the most striking images from the books above. If you’ve never gotten the chance to buy one of the Morphia books, this is a great way to try them all at once. 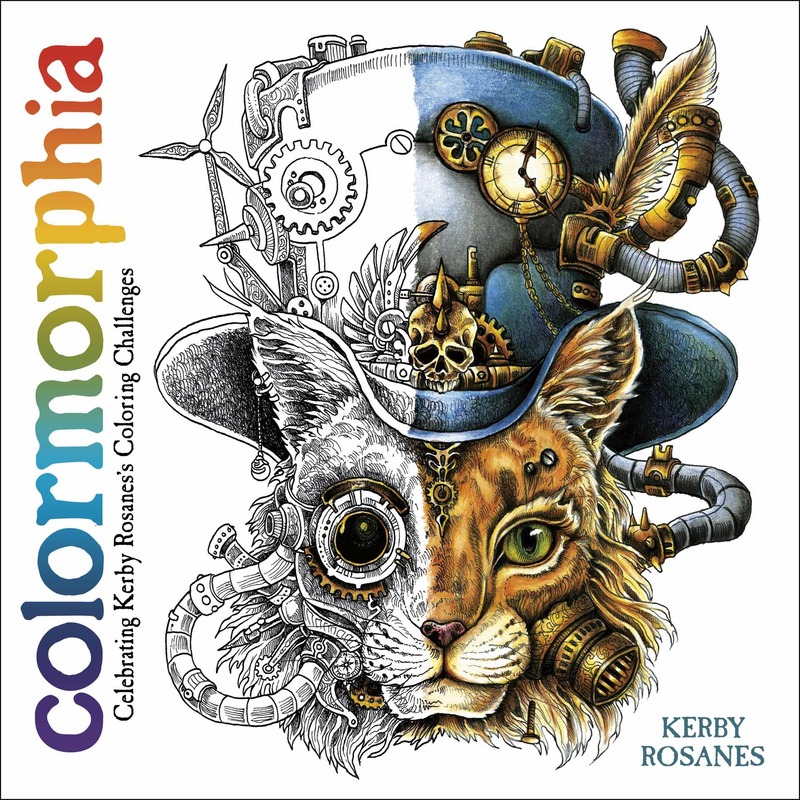 Colormorphia is a selection of Kerby Rosanes’s most remarkable artwork, featuring a stunning, full-color sixteen-page section at the beginning of the book that displays some of the most accomplished completed artworks produced by Kerby’s fans. These demonstrate the range of approaches colorists can experiment with when coloring. Kerby comments on the styles and the results, describing why they work so well. 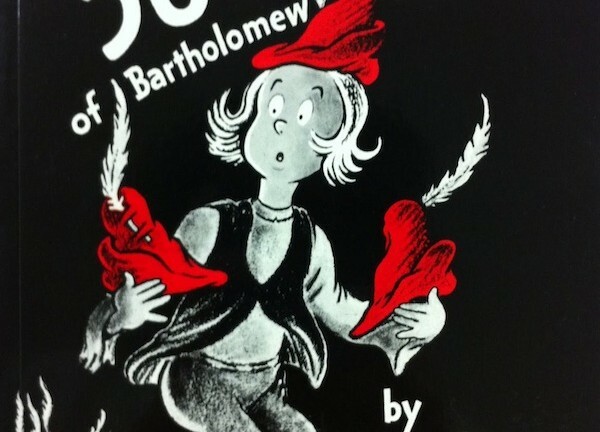 The artworks displayed in the color section are included in the black-and-white section of the book, too, giving the reader the opportunity to duplicate the approach should they wish. In addition, there are a variety of images to color featuring the very best from Kerby’s Morphia portfolio. These include show-stopping spreads, such as the tiger from Animorphia and the camel from Imagimorphia, among others, plus a section of single-sided pages that can be removed, once colored, for display. Batch Cocktails by Maggie Hoffman. You may already know the joys of advance meal prep, but have you considered applying that idea to making cocktails? 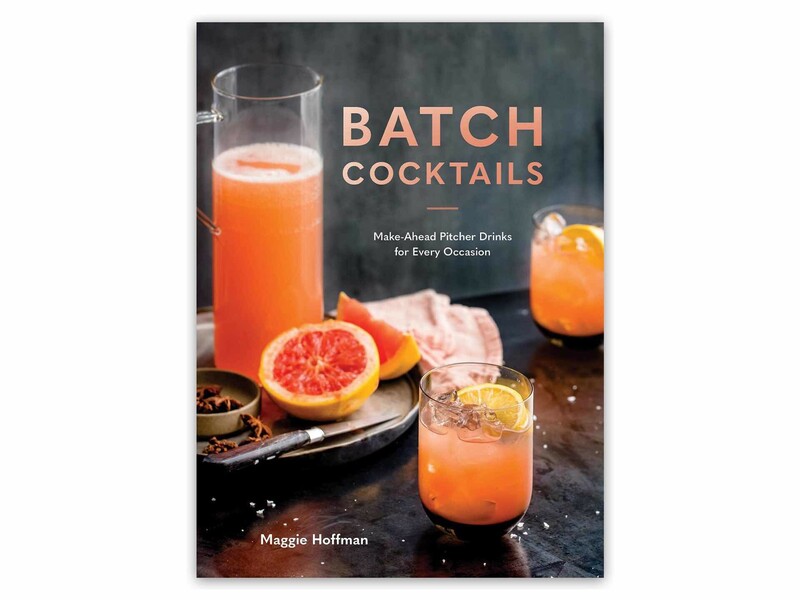 Food writer and “Queen of Cocktails” Maggie Hoffman has a new book called Batch Cocktails: Make-Ahead Pitcher Drinks for Every Occasion that wants you to put away the cocktail shaker and break out the pitcher instead. As anyone who has hosted a cocktail hour knows, there’s nothing worse than scrambling at the last minute, trying to mix drinks as your guests walk through the door. It’s hard to hold a conversation while searching for lost bitters, knocking over the jigger on the counter, and rattling a shaker full of ice (let alone trying to get the damn thing open). And without fail, just when you’re finally about to sit down, your friends are ready for a second round. This is why I’ve gathered together recipes of make-ahead drinks created by some of my favorite bartenders around the country: to set up that moment of calm. With this book in hand, you can make a bunch of cocktails all at once, in advance, and serve them without breaking a sweat. In true mixology fashion, many of the cocktails within have wonderful little names like “Double Down”, “Bitter Ex”, “All She Wrote”, “Bone Machine”, and “Poolside”. 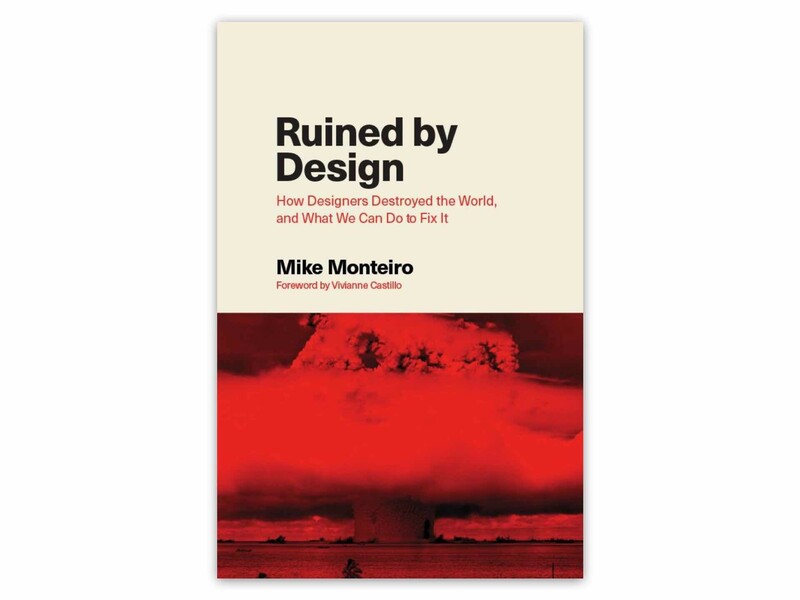 Ruined by Design by Mike Monteiro. Six years ago at Webstock 2013, Mike Monteiro of Mule Design gave a talk about how designers destroyed the world by working on projects without giving any thought or consideration to the impact their work would have on…well, everything. Now he’s got a book on that same topic: It’s called Ruined by Design: How Designers Destroyed the World, and What We Can Do to Fix It. 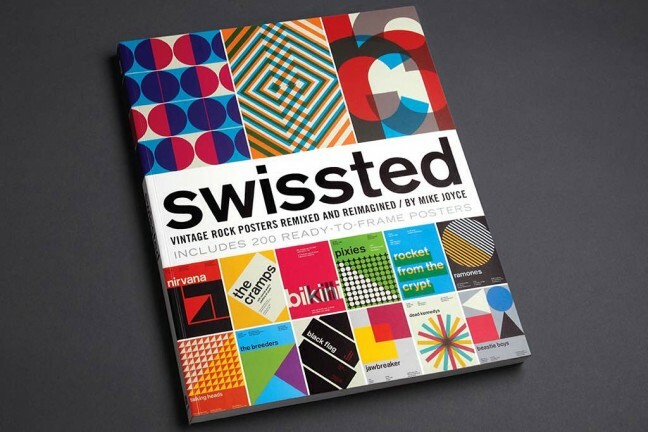 If you’re a designer, this book might make you angry. It should make you angry. But it will also give you the tools you need to make better decisions. In true Monteiro style, this book is highly political, divisive, and sweary, which is — wait for it — by design. It’s like a more bad-tempered update to Victor Papanek’s 1971 classic, Design for the Real World. If nothing else, it’s a call-to-action for designers to be more selective about the clients and projects they take on, because Mike is right: Design is a profession with a great burden of responsibility, and it’s time it gets treated as such.